Fees and commissions of BULGARIAN PROPERTIES for the purchase, sale or rent of real estate in Bulgaria. BULGARIAN PROPERTIES is the leading real estate company in Bulgaria. We have been servicing foreign clients for more than 10 years now helping them purchase, sell or rent properties in Bulgaria. Here you will find a detailed list of the services we offer and our prices and commissions. If you have any questions you can contact us at any time. • Notification sent on your e-mail if the prices of properties you selected are reduced – free for registered users. The registration link for following the prices is located right under the photos of the property. • Organization of viewing trips – free. BULGARIAN PROPERTIES does not charge a viewing trip fee. • SKYPE viewings – from 25 Euros and with package prices for viewings of several properties. • Meeting you at the airport, bus station, train station – free. • Assistance in booking a hotel as per the client’s wish – free. • Transportation services: If you wish to use the transport of BULGARIAN PROPERTIES for property viewing trips we charge 0.30 Euros per km to cover the petrol charges and wear costs of the vehicle. This is valid only for viewing trips outside the town/city/resort where the office is located. There is no charge for viewings in the city/town/resort. If you buy a property with us, any transport costs charged by the office you buy with are fully refundable! If you would like us to drive you further distances (from one of our offices to another, or from the airport to a regional office for example) we will negotiate a fixed price for each journey. • Agency commission: 3% of the property’s price, but not less than 800 Euro, payable upon signing a preliminary contract with the buyer, except for those properties for which it is explicitly stated that the buyer doesn’t have to pay a commission. 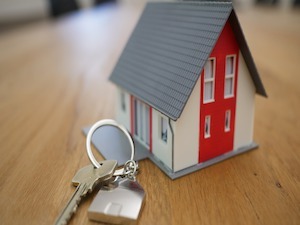 Our agency commission covers many important services which we provide for the buyer during the purchasing process: organizing of viewings, search for properties as per criteria set by the client, legal assistance, full checks on the title deeds and the ownership, preparation of all necessary contracts, paperwork, negotiations with the sellers, communication costs, representation and closing of the deal etc. • Commission from tenant/landlord – for long-term rentals - a half or a full rent from the tenant and the landlord, depending on the property. For short-term and seasonal rents our commission from the tenant is 10% of the rental price. • Commission for selling a property – to be agreed between the parties. Read how we can help you sell your property. • Acceptance and organization of payments via bank accounts - free for clients of BULGARIAN PROPERTIES*. All bank fees and commissions are at the expense of the client. • Assistance in obtaining a mortgage loan - BULGARIAN PROPERTIES will provide you assistance for free in applying, approval and utilization of a mortgage loan for purchase of a property. We will be advising you of the options available for lending, terms of different financial institutions, information on the loan to value, documents required for application and etc. Our services in assistance to obtain a mortgage are free of charge, but keep in mind that banks charge fees for applying and granting of a mortgage loan, which are calculated by each financial institution. • Assistance for insuring a property or other movable or immovable property – free. The price of the insurance premium is as per the tariff of the insurance company. -	annual accounting and filing of tax declarations of limited liability companies which do not perform any activities (all Bulgarian companies are obliged to file reports and tax declarations up to March 31st each year) – 225 Euro with included tax for publishing the reports. • Expert property valuation – prices vary depending on the property and its location. The price for an apartment is 90 Euro and for a house – 120 Euro. Each valuation request is considered separately with a specific price offer. * Clients of BULGARIAN PROPERTIES are all natural and legal persons who have signed with BULGARIAN PROPERTIES an agreement for the purchase, sale or rent of real estate on the territory of the Republic of Bulgaria. Those persons who do not have an agreement with BULGARIAN PROPERTIES and are not considered clients of the company can negotiate the prices of the services above depending on the specific case.